Last week Disney made a huge announcement about a new digital FASTPASS system that would be launching at the Disneyland Resort–the MaxPass. 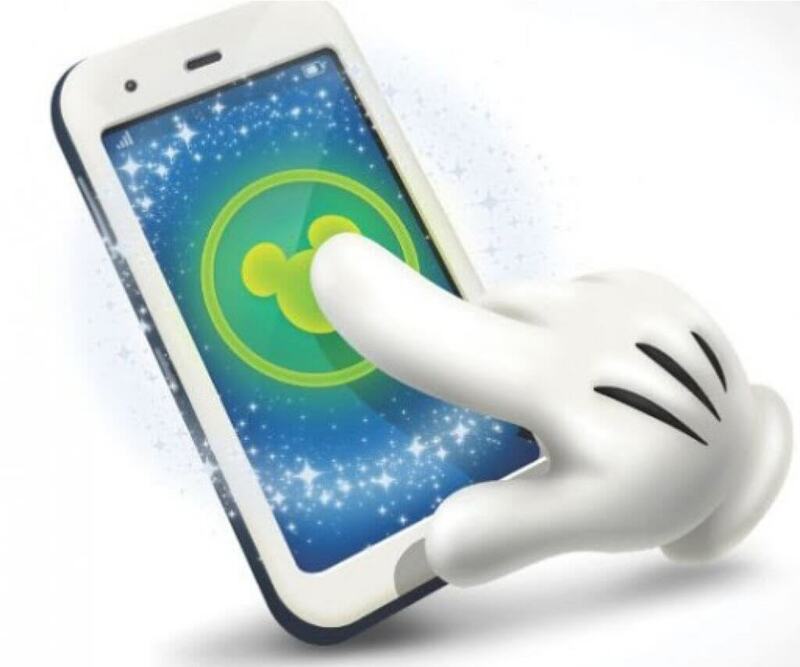 For the first time in Disneyland Resort’s history, guests will be able to book FASTPASSES electronically through their phones. Though, there is one caveat to MaxPass–the service has to be purchased. Naturally, Disney guests had tons of questions when MaxPass was announced, and we decided to answer the top 10 questions about Disneyland Resort’s MaxPass for those that need more information. Disney MaxPass provides unlimited downloads of high-resolution PhotoPass images along with mobile booking and redemption of Disney FASTPASS return times through the Disneyland App. Disney MaxPass will be available for an introductory price of $10 a day at the Disneyland Resort. 2. If I’m in the Disneyland park, can I book a FASTPASS for a ride inside Disney California Adventure? Or would I have to leave Disneyland and enter California Adventure to do so? If a guest is within the FASTPASS window (meaning able to reserve their next one), they can reserve a FASTPASS for Disneyland park if they are in Disney California Adventure and vice versa. 3. Would it be $10 per person or can 1 person in the party purchase it and make FASTPASS reservations for the other people traveling with them? Disney MaxPass will be $10 per ticket (per person) and one person in the party may manage Disney FASTPASS reservations for the party via one device, if desired. 4. Can MaxPass be purchased only through the Disneyland app or can you purchase online before your visit? Disney MaxPass is connected to your park ticket, so it can be purchased ahead of time when you buy your ticket, but it will not be activated until you are inside a theme park. 5. If you opt not to purchase MaxPass, can a guest still purchase PhotoPass+ online prior to his/her visit or at the parks in the photo shops? Guests may still purchase PhotoPass on its own if they opt not to use Disney MaxPass. 6. Will you be able to make more than one FASTPASS at a time like at Walt Disney World? Disney MaxPass will operate similarly to the current Disneyland FASTPASS system, meaning you will be able to reserve only one FASTPASS at a time. 7. Would MaxPass work like FASTPASS does over at Walt Disney World where some FASTPASSES can be booked in advance, or do you need to be physically in the parks the day of in order to book a FASTPASS? No – Disney MaxPass will operate similarly to the current Disney FASTPASS system at Disneyland Resort, meaning you will be able to reserve one FASTPASS at a time and you must be inside one of the theme parks to make Disney FASTPASS reservations. 8. Will some FASTPASSES still be offered for free? Yes – Guests will continue to have the option of Disney FASTPASS service at no cost by obtaining FASTPASSES at attraction FASTPASS kiosks, just as they do today. 9. When will MaxPass launch? Disney has not revealed any launch date, but it’s safe to say that MaxPass will be launched this year. 10. How will this work for Disneyland Annual Passholders? Disney will share more information soon on how Disneyland Resort Annual Passholders will be able to take advantage of Disney MaxPass. So far they have told us that Passholders will have the option of purchasing MaxPass at a daily rate or yearly rate, but we do not know what those rates for Passholders will be. I wish Disney World Fastpass was still like this. I hate advanced planning of everything. I also hate how some fastpasses are gone 60 days in advance. This sounds like a perfect use of the online fastpass system, but you actually have to be there to use it which stops fastpass hording. On the contrary, the WDW system is more fair with its tiered attraction reservation system. You can’t hoard FPs the way the system works. I much prefer it to DLR (which was really being abused by people taking up FPs and selling them). But this MapxPass has little advantage to the system in place. Other than not physically having to walk to the FP kiosks, there is no real reason to pay to use this. I was hoping they’d wise up and let guests at least book FP from a phone outside the parks the day of a valid ticket, but nope, it doesn’t. Therefore, the DLR system continues to only benefit early park goers and ignore people who come later in the day (like my family…when most of the FP are gone). Buying Photopass for our trip is much less than paying $40 a day for 4 people. The MaxPass is mostly useless to us, so we won’t bother with it.